ESEL provides an innovate education concerning leadership, management and clinical leadership, enabling future nurses to collaborate with their peers and other professionals in the healthcare system to promote and ensure the quality of nursing care. Since 1987, Maria has been a nurse educator and acts as a member of jury for public discussion of doctoral and master thesis at several universities (national and internationally). Graduating in Nursing in 1980, Maria specialised in Medical -Surgical Nursing in 1991 followed by a Master (1996) and doctoral degree in Social and Organisational Psychology - Organisational Behaviour (2006). In 2014, Maria graduated in Health and Hospital Administration and is a member of the Scientific Committee of Nursing Doctoral Program (2007) at The University of Lisbon, and former Coordinator of the Master Degree in Nursing Management at ESEL. President of General Assembly of Academic and Clinical Center Association of Medicine of Lisbon. (2016). Now as a member of the RELATE – Junior Leadership Erasmus Plus project team and participating on the EJLAJ, creating a new opportunity for helping junior nurses and midwifes to develop themselves as future leaders. ESEL Vice President, Joao Santos has been the Coordinating Professor in Rehabilitation Nursing since 2006, part of the Undergraduate Programme Coordination Team. Within higher education, Joao teaches Undergraduate Programmes focusing on Contemporary Trends in Health and as the Masters programme in Management in Nursing and Rehabilitation Nursing. Joao has a Bachelor in Nursing (1980), specialising in Rehabilitation Nursing in 1986, followed by a Masters in Nursing Sciences in 1994. His other qualifications include Advanced Training Program of the PhD Course in Nursing, University of Lisbon (2006) and Program of High Management of Health Institutions, at the School of Management and Business (AESE), in 2009. 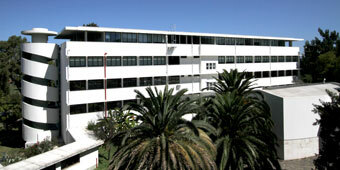 During 1982 – 1989, Joao was a Specialist Nurse at the Torres Novas Hospital and the Rehabilitation Medicine Centre of Alcoitão. He joined the management team at Torres Novas Hospital, as Chief Nurse in the Medicine Service from 1989 - 1998 and became Nurse Director and Board Member of the Hospital Administration, during 1998 - 2001. In addition, Joao was appointed President of the Southern Regional Council of Portuguese Nursing Council during 2002 – 2004 and Board Member of the Garcia de Orta Hospital, 2009 – 2010. Teresa Santos Potra is a Coordinating Professor at Escola Superior de Enfermagem de Lisboa (ESEL) and following a Bachelor in Nursing (1980), Teresa has worked as a Clinical Nurse in a General Hospital in Lisbon. Specialising in Mental Health Nursing with a Masters degree in Social Psychology and Organisational Behaviour. She obtained her PhD in Nursing Sciences from University of Lisbon. A nurse educator since 1990 and throughout her professional life has held several management positions at institutional and pedagogical level. She has worked on internationals projects in nursing under Leonardo Da Vinci Program and was Vice President from PRAQSI International (Réseau Multinational de Recherche et Réflexion à partir de la Pratique Quotidienne des Soins Infirmiers). Currently Vice President of the Technical - Scientific Council of Escola Superior de Enfermagem de Lisboa and Coordinator of The Nursing Management Department of ESEL. Teresa coordinates the Master Program in Nursing, specialising in Nursing Management, and supervises master dissertations. She also teaches a range of subjects such as management in nursing; health innovation and nursing; and medical services quality. Teresa´s specific areas of interest include: management and leadership in nursing, clinical leadership, nursing and health quality. She is a Researcher at The Research Line: Organisational Environment on Health: Quality and Care Management (OEH: Q&CM) of Research Center (UI&DE) of ESEL. Trinity College Dublin is Ireland’s premier university, with a proud tradition of excellence stretching back to its foundation in 1592. 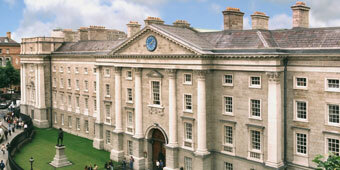 It's also the top ranked university in Ireland and the top-ranked European university for student entrepreneurship. The School of Nursing and Midwifery is ranked 1st in Ireland and 36th in the World by the QS World University Rankings by subject 2017. It aims to provide leadership in multi-professional healthcare research, education and practice at local, national and international levels. The school has developed a national and international record of research funding, completion and dissemination. In addition, it is the largest school of nursing and midwifery in Ireland, with the highest numbers of undergraduate and research students. Anne-Marie previously served as Director of Trinity Centre Practice and Healthcare Innovation, and as Director of Postgraduate Teaching and Learning. Anne-Marie has over 30 years of clinical practice, education and research experience in nursing and health care management and has worked in health care systems in Ireland, the United Kingdom and the USA. Through her clinical experience, research, teaching and consultancy Anne-Marie gained significant understanding of health service delivery issues in both the Irish and international context. Her research work has focused upon the development of healthcare systems and workforce development in healthcare. She has conducted research studies in collaboration with health service providers to examine issues around patient related outcomes measures, workload measurement, work conditions, practice development, patient safety and competency among health care workers. The research activity which Anne-Marie leads is concerned with alternative strategies to responding to the burden of health care around chronic illness/cancer survivorship and she is currently a co-applicant on Horizon 2020 grant ProACT on using technology to enable self-management in those with multi-morbidity. Anne-Marie is also Principle Investigator on a national and multi-site evaluation of personalised support in the community and integrated care within acute hospitals for persons with dementia. She leads on Leadership and Quality education within the school of nursing and midwifery masters programme and has developed a textbook on leadership and management for the Irish health service. Denise is a nurse, midwife and midwifery educationalist. Denise is a board member of the regulator body that regulates the practice and profession of nurses and midwives in Ireland. Denise is also a member of the Midwifery Leadership Group - a forum established by the Department of Health to provide strategic direction and leadership relating to the profession and practice of midwifery in Ireland - and the Childbirth, Reproduction and Maternity Care Research Forum in Trinity College Dublin. She has conducted a number of studies exploring and investigating women’s experiences of postnatal depression, the accessibility of the Irish publicly funded maternity services for women with a disability, support services available to student parents studying in a third level institution and the effectiveness of the Baby Friendly Hospital Initiative (BFHI) in Ireland. For her PhD Denise developed a substantive theory explicating the process of transition to motherhood from the perspective of women with a disability and the relationship of that process on the self. Denise is also a reviewer for a number of peer reviewed journals including International Journal of Childbirth, BMC: British Pregnancy and Childbirth, Midwifery, Sexual and Reproductive Healthcare Journal and Journal of Advanced Nursing. Joan's research is focussed in complex pregnancy care, fetal abnormality/perinatal palliative care and trauma and traumatic loss in childbirth. Joan has an international reputation as a leading researcher and scholar in this field which has placed her at the forefront generating evidence for practice and policy development in this challenging area. Joan has held many clinical and university leadership roles including Director of Postgraduate Teaching and Learning in the largest school of nursing and midwifery in Ireland. From a national perspective, Joan is currently an expert member of two clinical programmes that are shaping health policy in Ireland - The National Standards for Bereavement Care Following Pregnancy Loss and Perinatal Death Programme and the National Clinical Programme for Perinatal Palliative Care. 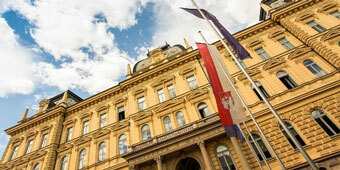 The University of Maribor (UoM) is a comprehensive educational and research organisation striving for academic excellence and the expansion of knowledge through basic and applied research. With over 1100 researchers and teaching staff, UoM collaborates with economic partners, civil society, public administration and other institutions, supporting research and art with a focus on well-being and development to society. Through its undergraduate and postgraduate study programmes, the Faculty of Health Sciences (FHS) introduces the latest technology, innovation, creativity and interactivity for the achievement of student competences and the main goal - a holistic patient care. three postgraduate programmes in Nursing Care, Management in Health and Social Organisations and Bioinformatics. The faculty’s vision is to become a leading, recognisable and desirable educational and research institution, especially in the Western Balkan region, comparable with similar EU educational institutions. With its teachers and collaborators, students and mentors from clinical and other educational institutions, the faculty continues its involvement as an equal partner in the interdisciplinary and multidisciplinary development of the science and art of nursing and health care. During her work at the Faculty of Health Sciences, University of Maribor, Majda worked on numerous national and international projects in nursing and health care. Majda's educational and research collaboration includes different institutions in an international environment. She is a visiting professor at the University of Osijek, Josipa Jurja Strossmayera, Medical Faculty, Department of Nursing, Osijek; Nursing College, Belgrade, Serbia and was a visiting professor at University of Ulster, Belfast. Mateja is also a Honorary Professor at I.M. Sečenov First Moscow State Medical University and a member of Sigma Theta Tau International, Honor Society of Nursing. Majda received different prestigious awards for her work like recognition to the first full time employed senior lecturer for a creative contribution to education and research in the field of nursing, College of Nursing Studies, UoM; Silver badge of UoM in 2005 and a Golden badge from FHS in 2010; Golden badge of Chamber of Nursing and Midwifery Care of Slovenia - Association of professional nurses, midwives and medical technicians Slovenia, professional, nongovernmental and non-profit association with 16,500 members and Silver badge from a regional Chamber of Nursing and Midwifery care of Slovenia in Maribor. Gregor has worked on many national and international projects in healthcare informatics. In 2012 Gregor he worked at the Data Analysis and Biomedical Analytics (DABI) Center at Temple University as a visiting researcher where he worked in the field of data analytics in healthcare. In 2013 Gregor worked as a Visiting Assistant Professor at Shah Lab, Stanford School of Medicine where he was involved in research on large-scale analysis of search logs from healthcare institutions. His research interests encompass machine learning techniques with application to healthcare. Specific areas of his technical interest include comprehensibility of classifiers, human interaction based classification, stability of feature selection algorithms, meta-learning and longitudinal rule discovery. His work was published in multiple conferences, journals and books. Gregor gave talks on his knowledge discovery in healthcare and bioinformatics research at renowned research institutions such as IBM Watson Research Center, Stanford University and University of Tokyo. He served as a co-organiser of many workshops and conferences in the healthcare informatics field. Gregor also serves as an editor of Springer’s Journal of Healthcare Informatics Research. Mateja attended a secondary nursing school in Maribor, then continued her studies at the College of Healthcare Workers and postgraduate studies at the faculty of management. Since 2005 Mateja has worked at the University of Maribor, Faculty of Health Sciences, as a lecturer for; Nursing care; Managing Chronic disease; Gerontology Nursing; Organization, Management, and Quality and Safety in Nursing and Internal Medicine Nursing. Mateja is a mentor for students and actively participates in many international and domestic conferences and congresses in nursing and management. She has also given lectures at overseas universities. The results of Mateja’s scientific and research works are published in domestic and foreign journals. She received the highest award (the golden badge) of the Association of Nursing Care and Midwifery of Slovenia for successful professional work and contribution for the implementation of programs in the field of nursing. Aleksandra gained her Bachelor’s diploma at the College for Police and Security Studies, and is currently enrolled on the masters programme for Management in Health and Social Organisation. Aleksandra has been employed at the University of Maribor Faculty of Health Sciences since 2009 as an Assistant in General and Administrative Affairs. Aleksandra’s work consists of organizing international and domestic conferences, congresses, summer schools and other events. She also works on faculties’ publications, public procurement and various projects, foreign and national: Joint development of online gerontological master degree programme (GEROM), Promoting the improvement of elderly ICT skills and well being by inter-generational and multi-sectoral education (PRIMER-ICT), Older people and technological innovations (OPT-IN),Breaking the Taboo Two -Developing and testing tools to train the trainer (BTT 2), Internationalization-a Pillar of Development for University of Maribor, Let’s Enjoy in Health (Uživajmo v zdravju). 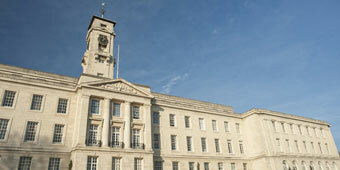 The University of Nottingham is a public research university, founded as 'University College Nottingham' in 1881, and was granted a Royal Charter in 1948. It is currently ranked among the top one per cent of universities in the world. Nottingham was named 'University of the Year for Graduate Employment' in the 2017 Times and Sunday Times Good University Guide, and was awarded gold in the TEF 2017. Nottingham's main campus (University Park) and teaching hospital (Queen's Medical Centre) are on the outskirts of the city of Nottingham, with a number of smaller campuses and sites elsewhere in Nottinghamshire and Derbyshire. The University also has campuses in Semenyih, Malaysia and Ningbo, China. The University has about 44,000 students and 9,000 staff. It is organised into five faculties, within which there are more than 50 schools, departments, institutes and research centres. The University is a pioneer in nursing education, with one of the largest nursing schools in the UK. It offers innovative courses informed by powerful research, being delivered by high-quality teachers in an inspiring environment. After training as a nurse and completing a BSc in Health Studies at the University of Manchester, Stacy read for a Masters degree in Economic and Quantitative Methods in Healthcare at City, University of London. Stacy is in demand as an advisor and speaker on healthcare and Higher Education equality, diversity and inclusion. Since 2012, Stacy has been advising England's Chief Nurse on matters affecting black and minority ethnic (BME) patients and staff as a member of the Chief Nursing Officer's BME Advisory Group. She also lectures and researchers in the areas of healthcare leadership, innovation and entrepreneurship. Stacy has developed an exemplaryreputation for capacity and capability building in the international Higher Education sector. She leads the School of Health Sciences' strategy on and is a visiting lecturer at the Henan University of Science and Technology in China. She has been involved in advising on curriculum reform, faculty development and leadership development in nurse education in the UK, South Africa, China, the Middle East, India and the Caribbean. She has been an external examiner at the University of the West Indies, Trinidad, Witswatersrand University, South Africa, London Southbank University, England and the University of Edinburgh, Scotland. Carol’s work includes supporting a team of course leads to ensure effective implementation of the Bachelor in Nursing, Undergraduate Masters in Nursing Science and the Graduate Entry Masters in Nursing, Bsc Physiotherapy, Bsc Sports Rehabilitation courses and Bachelor Level Midwifery programmes. Carol contributes to learning and teaching as a member of the Child Health Nursing Team within the School of Health Sciences, focussing upon the development of leadership and wider policy contexts as well as the application of nursing theory, and practice. Whilst supporting the delivery of education for pre-registration nurses who plan on participating in elective placements within their study programmes. ln addition to working with pre-registration students, she also supports students studying to achieve Masters and PhD qualifications in nursing. Carol is a member of number of expert working groups advising on the impact of European and International nursing education, and this includes, working for a number of year with the Policy and International Department in the Royal College of Nursing and with The Council of Deans for Health in the UK; Chair of the Royal College of Nursing (RCN) Education Forum; Executive Council Member of the European Federation of Nurse Educators (FINE); Member of the International Advisory committee with the Guang Hua Nursing Foundation in China in 2011, in recognition of work undertaken with them in bridging knowledge of nursing education in the EU and in China. Ada joined the School of Health Sciences in 2014 and held previous positions as Lecturer and Researcher in Higher Education, and as a Clinical Studies Officer with the National Institute of Health Research. Ada is a Sociologist and Registered Mental Health Nurse, with experience of teaching and convening undergraduate and postgraduate curriculums - specialising in working with marginalised communities. Her research focuses on restrictive practices in forensic psychiatry, emotion work and organisational culture. Ada teaches and convenes modules on undergraduate and postgraduate curriculums. Her teaching has core themes in values, ethics and contemporary issues, situated within the broader field of health and organisations. Ada is a personal tutor to mental health nursing students on both the undergraduate and postgraduate nursing programmes, and is facilitator for for several modules. Ada’s research focuses on restrictive practices in forensic psychiatry, emotional labour and organisational culture. In 2016, Ada was awarded the prestigious national Mary Seacole Leadership Award, in recognition of her research towards improving the care and outcomes of people who use mental health services. Funding from this award is being used to study Black and Minority Ethnic (BME) patients' Experiences within a High Secure Hospital.